June is a happy, happy time, because for us lot in the northern hemisphere, the 21st of this month signals the official start of summer! Woohoo! Towards the end of this month, I have my final written and oral exams for my Masters course, which will be a pretty nerve wracking time, so please send lots of positive vibes my way!! I won't be abandoning you in terms of blog content though, as I have plenty of treats scheduled for you! These include another recipe, a picturesque day out post, and something superhero themed (I kid you not, it's an eclectic mix this month!) I also have a whole host of fabulous new advertisers to share, so let's introduce them! It's my pleasure to introduce one of the most well respected and hardworking book bloggers out there as my first June advertiser: Jenny from Jenny in Neverland! If Jenny has reviewed a book, I know that I'll be reading her honest and open thoughts. She has been blogging for over four years and she is known throughout the blogosphere for her trustworthy, honest reviews. Jenny doesn't limit herself to just books, she also blogs about lifestyle, featuring everything from her days out and Disney loves to Formula One and mental health. With Jenny's blog, you get a real sense of authenticity and personality. Reading her blog is like chatting with a friend and I wouldn't have it any other way! I have definitely said this before when writing my advertisers posts, but it's well worth saying again - it is so easy and so wonderful to advertise your friends! My next advertiser, the fantastic Debra Bow, certainly falls into that category. Debra writes a truly stunning beauty blog - whether you're in the market for new mascara, foundation, or just want to check out some new skincare options, Debra has so much expertise to advise you! Her reviews are always super thorough and honest, as well as providing you with some gorgeous photos! She recently took on the challenge of blogging every day in May, which produced some awesome varied content, showcasing not just beauty buys but her recent holiday to Portugal too! Debra's blog comes very highly recommended. 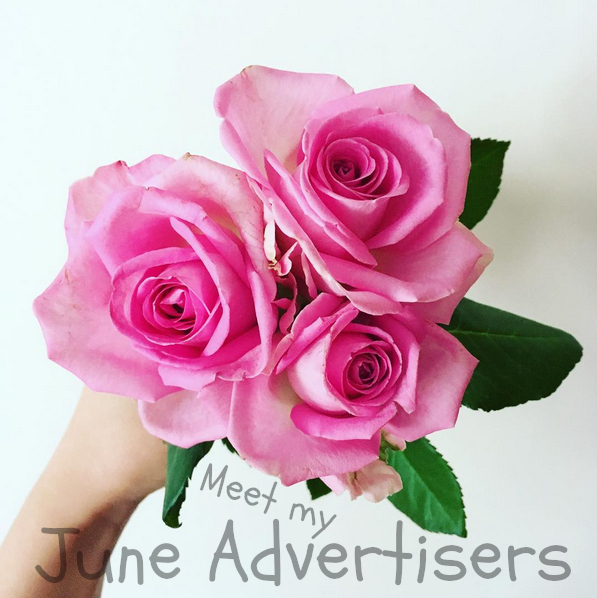 Following on from this, I'm proud to introduce the lovely Abbie as my third June advertiser! Abbie's blog is an eclectic mix of everything that interests her, including book reviews, chit chat posts, and monthly favourites. 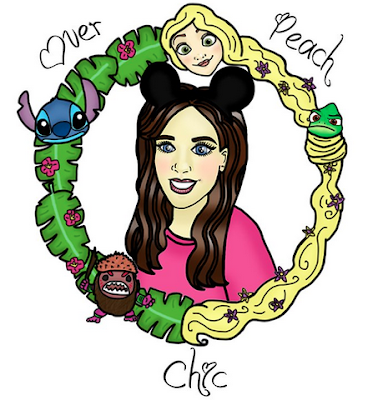 She has recently decided to branch out into Disney blogging more regularly, which you can probably tell from her gorgeous new blog logo! I personally can't wait to see where Abbie's Disney blogging journey takes her, as I'm a massive fan of Disney myself. I always love the personal, unique writing style of Abbie's blog, and I'm sure she's going to absolutely kill it! Head over and give her a follow right away! Next, I'm proud to introduce the lovely Izzy! Izzy covers a wide variety of topics on her blog, but every post is accompanied with stunning visuals and beautiful, flowing text. Izzy's travel posts are among my favourite topics to explore on her blog, she never fails to make me want to visit the cities she has spent time in! Izzy's talents extend to more than just blogging, as she's also a YouTuber, sharing travel guides, hauls, and beauty product reviews. She is also a total sweetheart on social media, such a pleasure to engage with every single time. If you don't follow Izzy, you're missing out BIGTIME! Of all of the people with whom I've made friends via blogging, Helen has to be one of the best. Always kind, sweet, and helpful, she's a truly genuine angel and her blog deserves about a zillion more followers than she currently has. Everything on Hels's blog is bright and colourful, but her posts are still candid and thought-provoking. She shares life as a Mum and her mental health story, and lifestyle posts, beauty, and fitness. Her writing style is fluent and gorgeous, and it's easy to spend hours trawling through her posts. Helen's son, Dougie, is also the cutest thing on the planet, so if you don't follow her on Instagram, you're missing out on a truly adorable little face! Creative confidence is the name of the game with my penultimate advertiser, Tara. Tara is a Canadian blogger, illustrator, and designer with her own (utterly fabulous) Etsy store! She specialises in exquisite animal illustrations, and every pet has their own unique personality, which Tara conveys in her blog posts about each new creation. I think this is such a wonderful idea as it really brings her work to life! Tara and I have a lot in common as we are both snail mail enthusiasts, and Tara has some fantastic DIY snail mail projects on her blog which I will definitely be trying out! Her inspirational posts about confidence are also not to be missed, just what you need for a pick-me-up! Fear is a Liar, You Can Achieve Your Dreams! Follow Tara on Twitter and Instagram, and check out her Etsy shop! Last but by certainly no means least, I'm pleased to introduce the wonderful Vicky! Vicky founded her blog in 2015, and she has been posting about advice, health, and food (to name but a few topics) ever since. My favourite aspect of Vicky's blog is how openly she discusses her life experiences, such as gaining confidence in the gym, and her relationship golden rules, to inspire and help others. Tasty recipes are another of Vicky's fortés, everything from smoothies to cocktails is covered on her blog! Vicky is super-active on Twitter and you can always find her sharing outfit inspiration and makeup to die for on there as well! Will June be a good month for you? What content should I be looking out for on your blog? Leave me a comment and let me know!